1. A ruffle sleeve dress that is the perfect day-to-night ensemble. It can be casual OR fancy shmancy with some heels. 2. 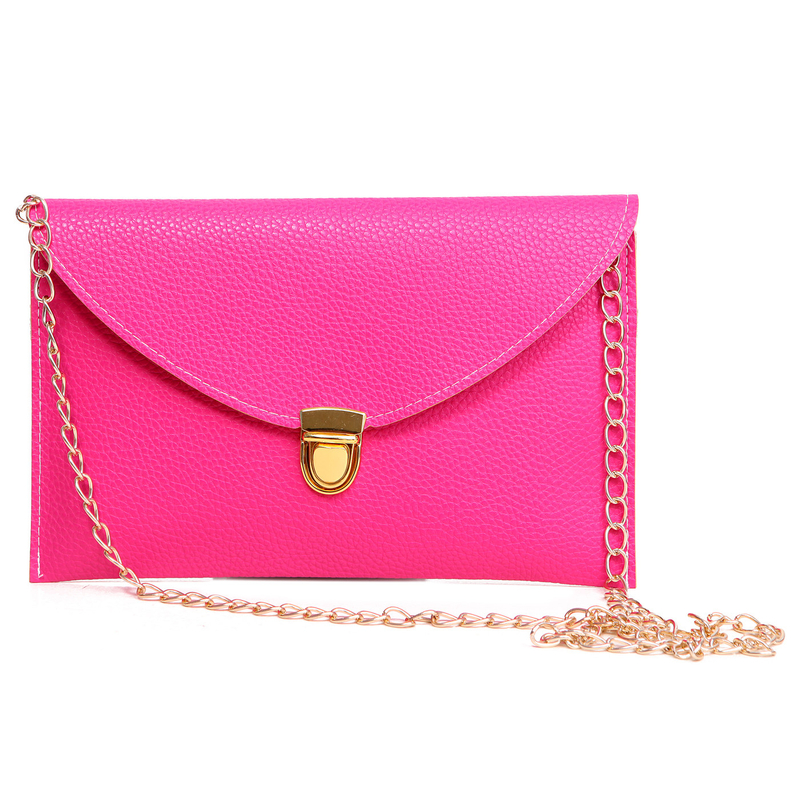 A crossbody bag complete with easily accessible outer pockets. You know, to keep important items within reach at all times. 3. Jeggings that do not look like jeggings. 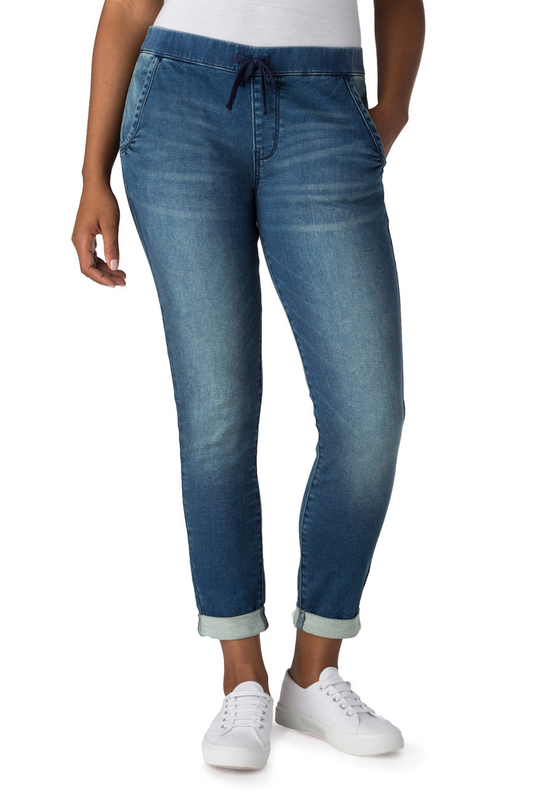 They look like your run-of-the-mill, not-stretchy-at-all, these-are-not-comfortable jeans. Move over, butter. There's a new imposter in town! 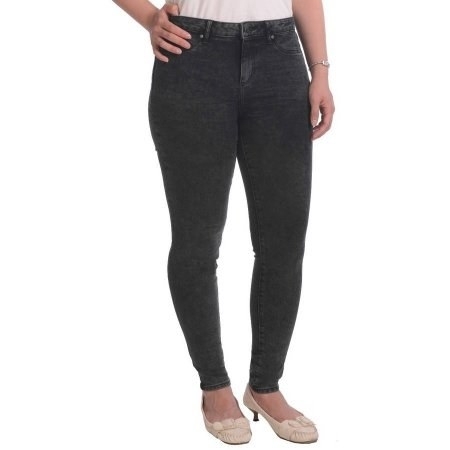 These jeggings are so soft and comfy, but they look identical to stiff, regular denim. 4. A Michael Kors rose gold watch because, sure, you have an iPhone, but there's something ~timeless~ about a wristwatch...that tells time. This watch is so beautiful, you'll actually want to keep track of the time. 5. 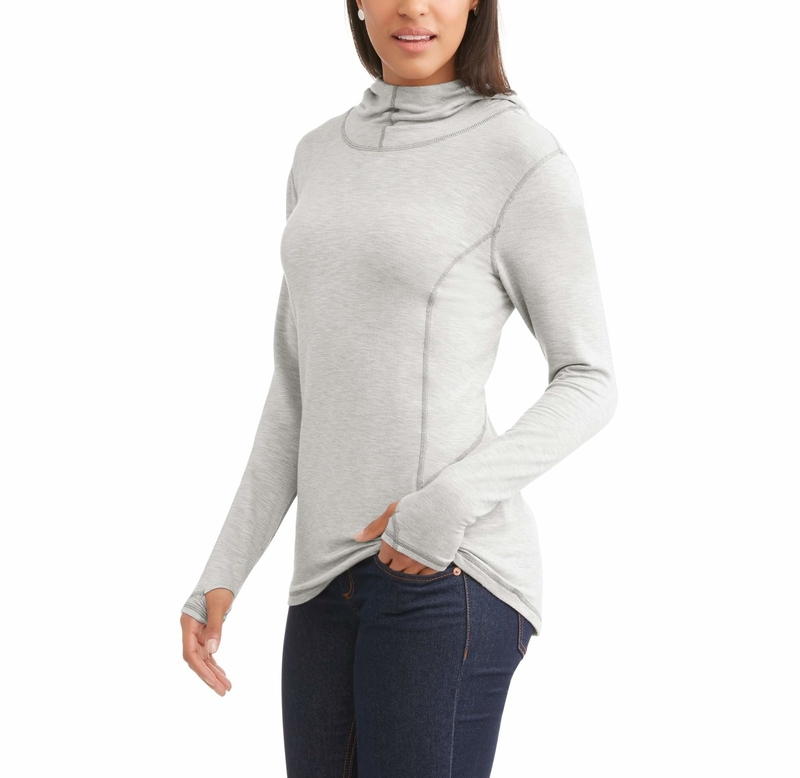 A super-soft athleisure top with thumbholes to keep your sleeves from riding up whenever you put on a jacket. Warning: this is guaranteed to make the rest of your fingers feel jealous. "Why does the THUMB get special treatment?" —your pinky finger while wearing this top, probably. 6. Comfortable sneakers designed to transform your feet into furry little abominable snowmen. Plus, these shoes are modeled after gore shoes (the kind that dancers wear) which makes these easy to slip on and off. 7. A belted shirt dress for the person who loves denim, but doesn't want to wear leg prisons (jeans) all the time. 9. 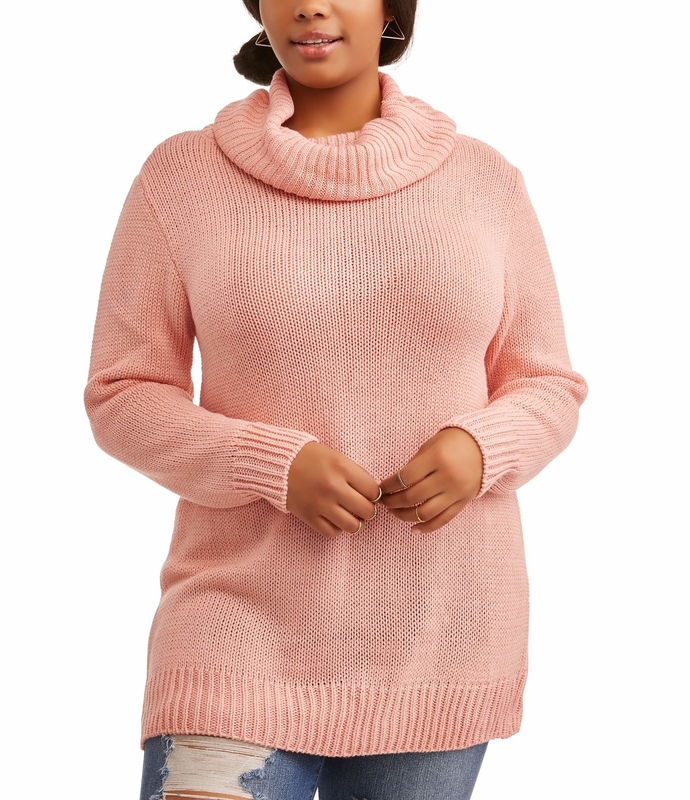 A cowl neck sweater you can give as a gift from yourself, to yourself. You won't even have to wrap it! It already has a bow. 10. An anorak sure to replace your current winter jacket. 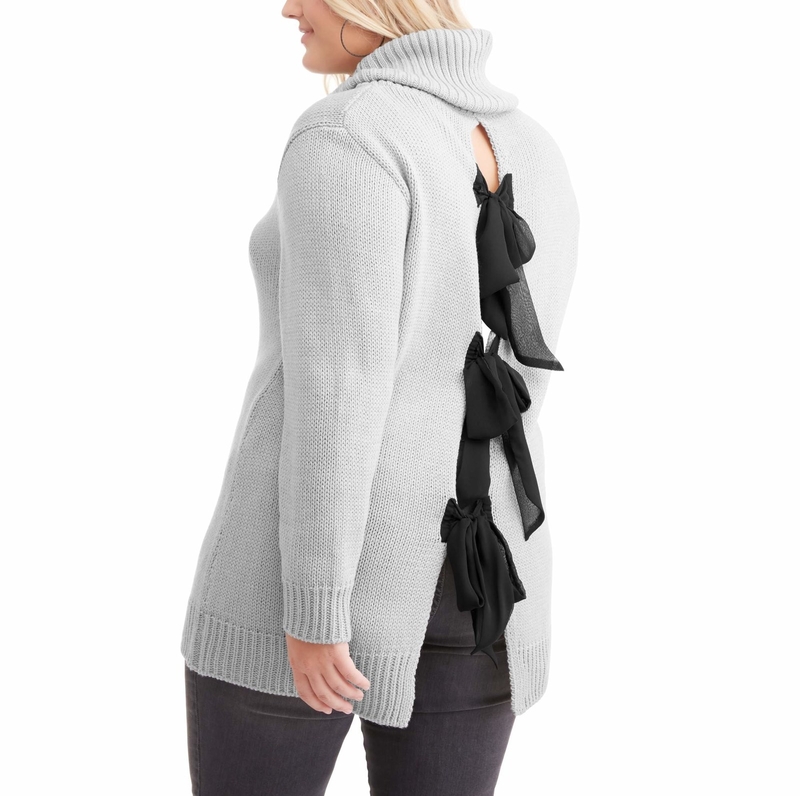 This has a waist-cinching drawstring to keep you warm WITHOUT making you look like a puffball. 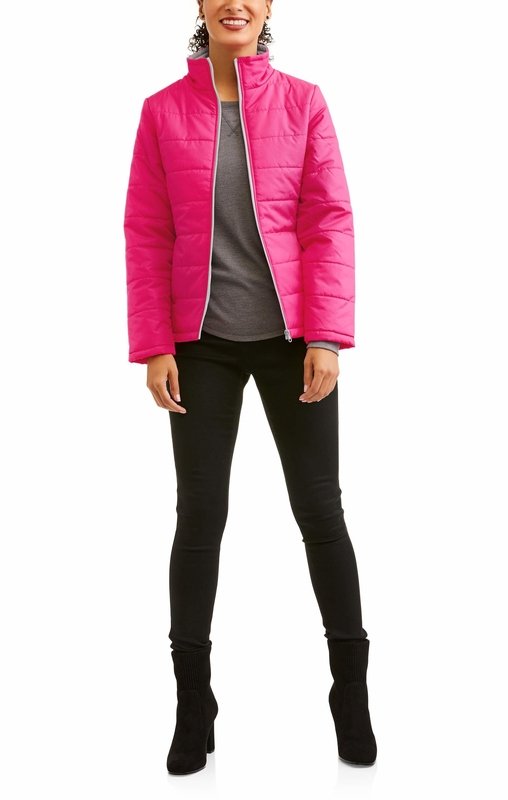 Plus, this jacket is lined with a soft material to make you feel as though you're wearing an unbelievably fuzzy blanket. 11. An envelope-shaped handbag that can be converted into a clutch. Just tuck the gold chain inside and — voilà! 12. Lace-up combat boots with a secret pocket to store your most valuable possessions. Cash, cards, and keys, specifically. You can't hide the Declaration of Independence in here or anything, but you WILL be able to go out without having to lug around a bag. Yahoo! 13. Stretchy mid-rise denim joggers that say "BE GONE" to uncomfortable zippers, buttons, and annoying belts. 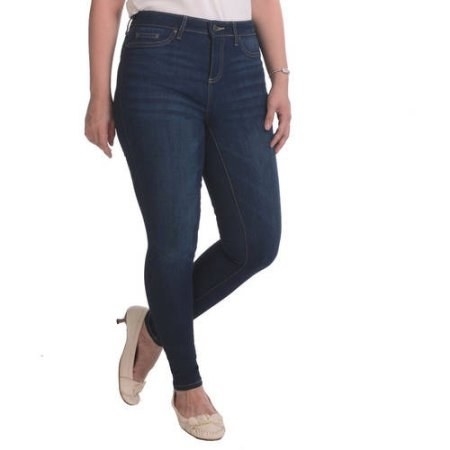 The drawstring waist on these denim joggers will keep your pants up without making it feel as if something is digging into your poor, defenseless belly button. 14. A scarf made from a supersoft chenille material. Unlike the other wool-based scarves lurking in your closet, this won't feel itchy or scratchy. 15. 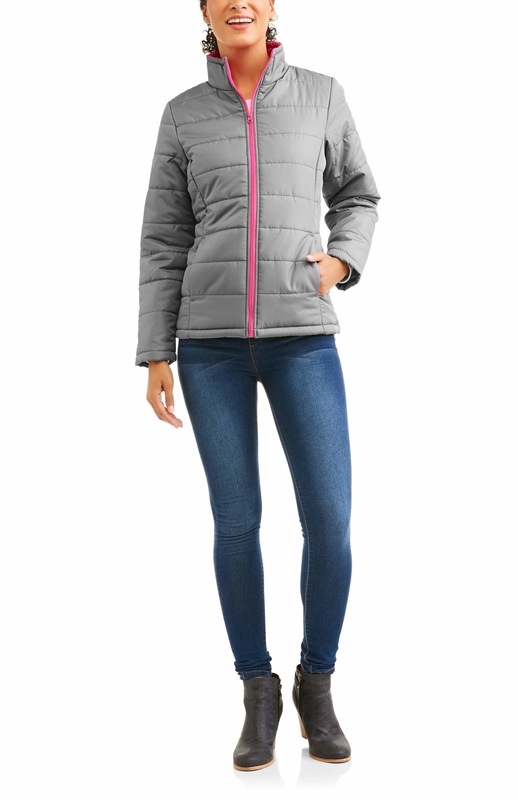 A bubble jacket so lightweight, you'll be screaming "I CAN'T BELIEVE HOW WARM I AM" every time you wear it. 16. A tote bag that — brace yourselves — is reversible. Two bags in one, people! This peach-colored bag can be turned inside out to reveal a bone-colored bag. Plus, this comes with a cute little pouch to store small cosmetics, cards, and whatever else your little heart desires. 17. A flowy midi skirt made from a thick velour material that looks way more expensive than it is. READ: it's not see-through, unlike MANY of the thin, inexpensive midi skirts currently on the market. 18. A scoop-neck tee made without any of the itchy, scratchy labels you always forget to cut out before wearing. Plus, this tee is super soft, stretchy, and will look exactly the same even after a couple of washes. 19. 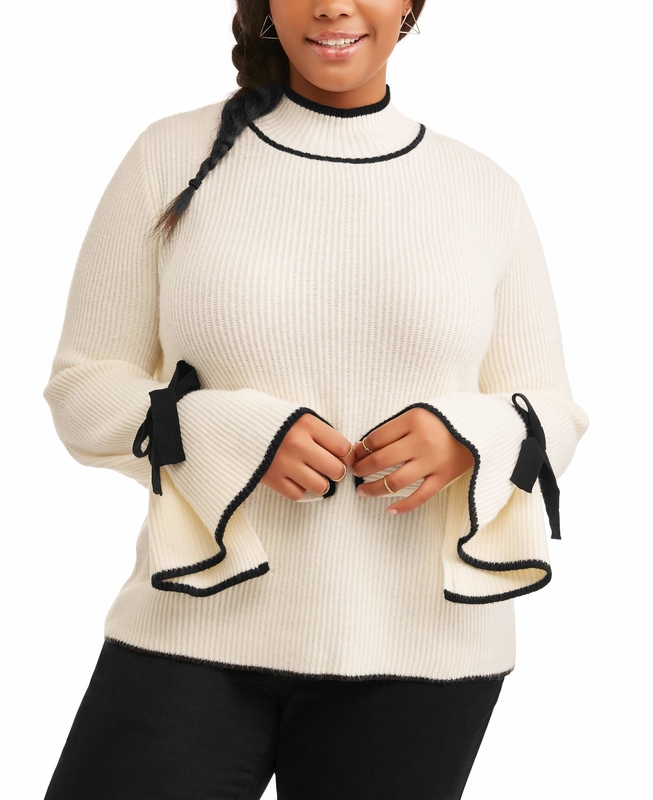 A sweater with flared sleeves to makes any outfit look put together and fancy. Minimal effort necessary! 20. Waterproof winter boots designed to keep your feet warm, even when the temperature drops to -25°F. Let's get a HALLELUJAH for these water-resistant cold weather boots. 21. 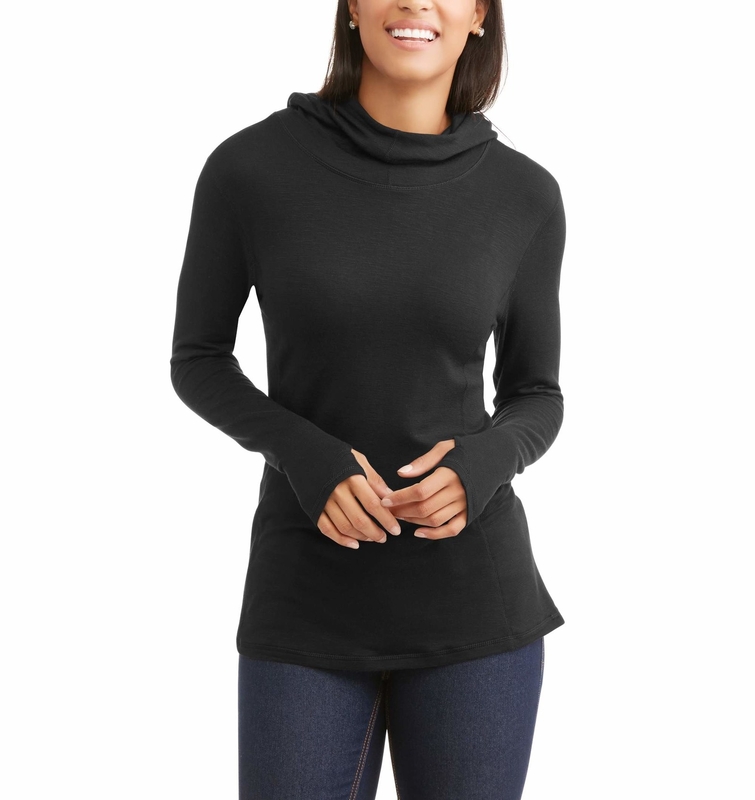 Ankle leggings that hold their shape even after a million washes. They will always feel brand spankin' new. 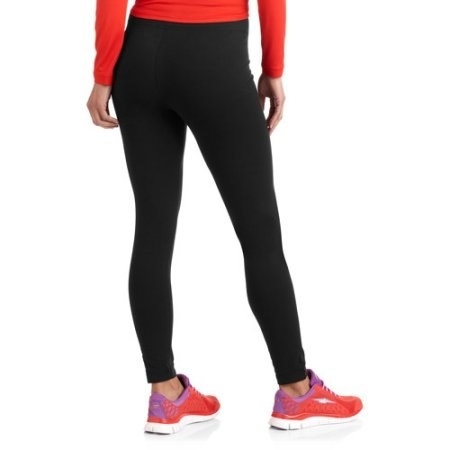 This means that you won't have to continue buying black leggings every few months, because these will last you foreva.